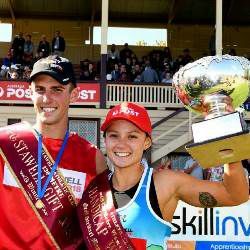 The Stawell Gift has been held in all but four years since 1878, and is one of the world’s most famous and prestigious foot races. Run on grass, athletes are handicapped according to form and ability, and start off varying marks accordingly. Runners race for glory and prize money with many more dollars working their way through the bookies ring. The main race is the Stawell Gift which is run over 120m up a slight gradient, and the final is traditionally held on Easter Monday. 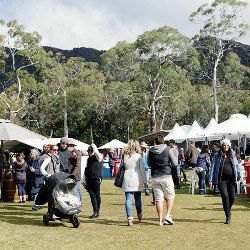 Visit Halls Gap for a festival of regional wine, food and music at the Grampians Grape Escape. You can meet the winemaker, learn from the producer, support the family owners and taste some of the best artisan wine and food on offer in Western Victoria. Get your friends, family and kids together and wander through a village of 120 stalls that will indulge all their senses. From masterclasses to cooking demonstrations, live music and celebrity chefs, with plenty of free fun for kids of all ages. Natimuk is a small town (pop 500) in a big space. Deep in the wheat belt of Western Victoria, Natimuk is home to an eclectic mix of farmers, retirees, rock climbers and artists. The Main Street is a place to walk the dog, gather tumbleweed and meet for a chat on the Post Office steps. However, every two years, the township becomes the Nati Frinj! 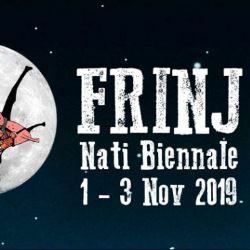 From Snail Racing to Aerial Silo Shows, from Clitterati exhibitions and new theatre works to Silent Disco Walking Tours, the Nati Frinj is a chance to celebrate and express the creative energy of Natimuk and our invited artists. Thanks to everyone involved in the 2017 Nati Frinj Biennale, artists, volunteers, our local PROduction team, community members who offered up their homes to artists and all those who came to our awesome and slightly random festival. What we do, with what we have is quite simply, pretty awesome! Kate Finnerty – Festival Director, Hannah French – Production Manager and then a team of incredible amazing volunteers! This event would not be possible without the support of ACT Natimuk, Carolynne Hamdorf – Chairperson, Mary French – Treasurer, Kane Hendy – Secretary and members Jillian Pearce, Dave Jones, Alison Eggleton, Martin Bride, Sarah Natali, Elaine Uebergang, Greg Pritchard and Lynne Quick. Thanks everyone. ACT Natimuk is supported by the Victorian Government through Creative Victoria.